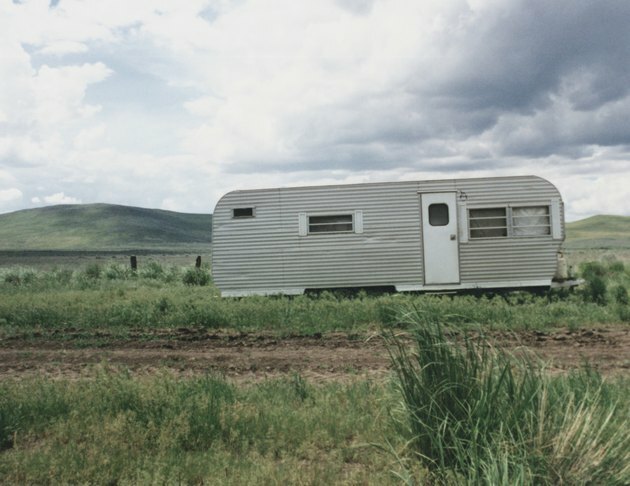 A park model trailer is designed to be placed in one spot and remain. It is not the type of trailer that you tow from site to site. Park models are very popular with retirees who enjoy wintering in such locations as Florida because they offer a cheap and comfortable small home. Many recreation enthusiasts are also discovering the joy of purchasing a park model home in a location they like to vacation. Park models do require several basic steps for winterizing, if the weather could dip below freezing in the park's location. If a resident plans to reside in the park model year-round, then a full year-round winterized park model should be purchased. Purchase a pre-winterized park model if you plan to reside in the trailer year-round. Many retirees live full-time in park models, so it is important to make sure that the model offers a high BTU furnace for warmth, heated tanks to keep from freezing, an upgraded insulation package to offer warmth during the cold months to residents, and double-glazed windows to keep out the cold. A park model that is purchased pre-winterized can be an ideal home year-round. Winterize your basic seasonal park model trailer if you do not plan to reside in it during the winter before the freezing weather strikes. Once completely winterized, you will be able to lock up your park model for the winter. Turn off the wall switch for the hot water heater. 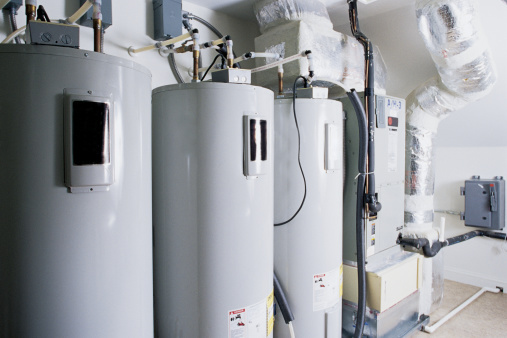 Turn off the breaker in the breaker box for the hot water heater. Drain the hot water heater either using a drain plug under the hot water tank or a pull valve beside the tank, depending on the model. Open the pressure valve on the tank to allow the air to enter the tank as the water flows out. Turn the bypass valves on the hot water tank to the wintertime position once the water has fully drained. Close both the upper and lower valves on the tank and open the middle valve. Locate the low point drains for the park model. These will be located by the city water hookup. Allow all water to drain from these points and then replace the plugs. Shut off the valves on all toilets in the park model. Flush the toilets several times to remove all water from the bowl and the holding tank in the back. Connect either a hand-powered water pump or a motorized water pump to the city water intake valve. Attach the other end of the hose to a jug of recreational vehicle-approved anti-freeze. Turn the pump on for a motorized pump or begin pumping on a hand-powered water pump to allow the pressure to build. Turn on the washing machine to warm and let the pink fluid pour into the washer. Once you see the pink anti-freeze fluid, turn the washer to off. Turn on the dishwasher and allow the pink anti-freeze to flow into the dishwasher. Once it flows in, turn off the dishwasher. Remove the pump and anti-freeze from the city water valve outside. Turn the valve off. Pour one cup of anti-freeze down the sink traps in all sinks, showers and bathtubs of the park model. Turn off the main electrical breaker in the breaker box. Lock up the park model and it is completely winterized until spring. What to Do to Toilets Before Vacation?